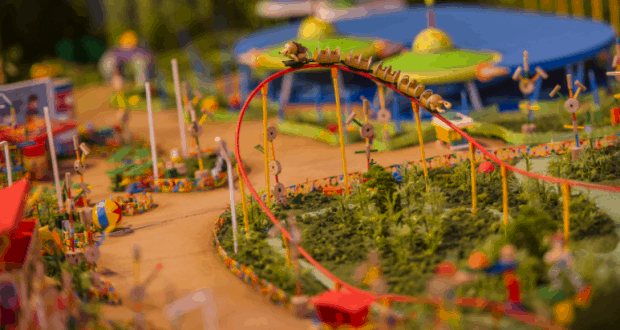 Currently there are models of Toy Story Land on display at Walt Disney Presents within Disney’s Hollywood Studios. Toy Story Land is set to open at the Walt Disney World theme park on June 30th. It looks like Disney will be closing the models briefly in order to update them. These updates will also add new previews of the attractions that are set to open with the immersive land. The models are scheduled to be unavailable on June 27th and June 28th, and back on display beginning June 29th just in time for the opening of Toy Story Land. During the time that the models are unavailable, the other areas within Walt Disney Presents will still be available. Also located there is the Guardians of the Galaxy meet and greet with Star Lord and Baby Groot and the preview of the newest Disney-Pixar film, Incredibles 2. The land is set to officially open to guests on June 30th. When guests enter this new land, they will “shrink” to the size of a toy to experience what it would be like to roam around Andy’s backyard. The land will feature two new attractions, Slinky Dog Dash and Alien Swirling Saucers. Of course Toy Story Mania will also still be there, too. There will be a dining location, Woody’s Lunch Box, which will serve a variety of sandwiches and goodies. For the shoppers out there, they will find a lot of great, themed merchandise, too. Which new attraction at Toy Story Land are you most excited for?